Kate Middleton's new €2,000 dress is getting some very strange feedback. Yep, the green dress from Eponine London is getting a lot of weird comments from social media users. As you'll see below, the bright green shift dress features two buttons and people have been comparing this to an "angry face". Yep, it doesn't get much weirder than that and you can check out Kate Middleton's new €2,000 dress for yourself in the snaps below. According to reports, the dress is priced around the £2,100 mark which works out to about €2,380 and yeah that's a lot for a single item of clothing. One Twitter user described it as the 'world's angriest dress' and she wasn't the only person discussing Katre's latest ensemble. The mum of three was pictured in this outfit on Tuesday as she visited Lavender Primary School in Enfield, London, with this the latest engagement during Children's Mental Health Week. I mean, angry face is a bit of an exaggeration to be fair but this hasn't stopped people from making the comparison all the same. Other people were fans of the look though and thought the dress really suited Kate. Either way, the title 'world's angriest dress' is certainly interesting. 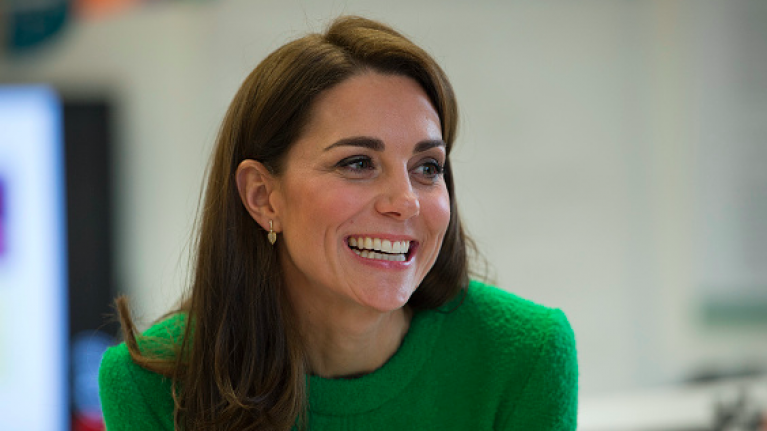 The Duchess of Cambridge met with students and teachers at the school and found out how they are staying healthy, inside and out.